P.I.E. (Projects In Education) Story Theatre is a collection of adapted fairy tales, fables, and original stories presented in the “story theatre” style of theater games and storytelling created by Viola Spolin and Paul Sills. Five stools, a few props and performers dressed in colorful t-shirts and overalls; using narration, mime and creative characters to present an exciting and fun world of stories. PIE was developed in the early 90’s by Patrick Riviere as an arts-education assembly program that traveled to schools, community organizations, parks, libraries and other venues, introducing young children to theater and storytelling in a way that is educational, interactive and fun! Over the years the programming has reached thousands of children and families. Some of the stories include: The Little Engine That Could, Casey at The Bat, The Richman and the Shoemaker, The Giant Jam Sandwich, and original stories written by our very own companies like The King of the Jungle which deals with the important issue of bullying. The repertory of stories numbers over thirty and usually seven or eight stories are selected for each 40-minute program so audiences can see multiple performances and not see the same story set twice! The company also involves the children in warm ups, talks about the importance of teamwork and community and stresses the importance of reading as an important tool for learning. In addition, there is always one story that the entire audience participates in. While great for younger children and students, adults love it too! Theatre celebrated a Mid-West Premiere at Chicago’s Theatre Building and was later named the resident family theatre at Chicago’s famed North Pier Festival Market. PIE also presented programming throughout the Chicago Public Library System as well as The Chicago Parks. After a hiatus of several years, Patrick Riviere, the original Creator and Director of PIE Story Theatre, brought this programming back to serve local New Jersey communities and the entire Tri-State area as a component of All Seasons Theatre Company (ASTC). 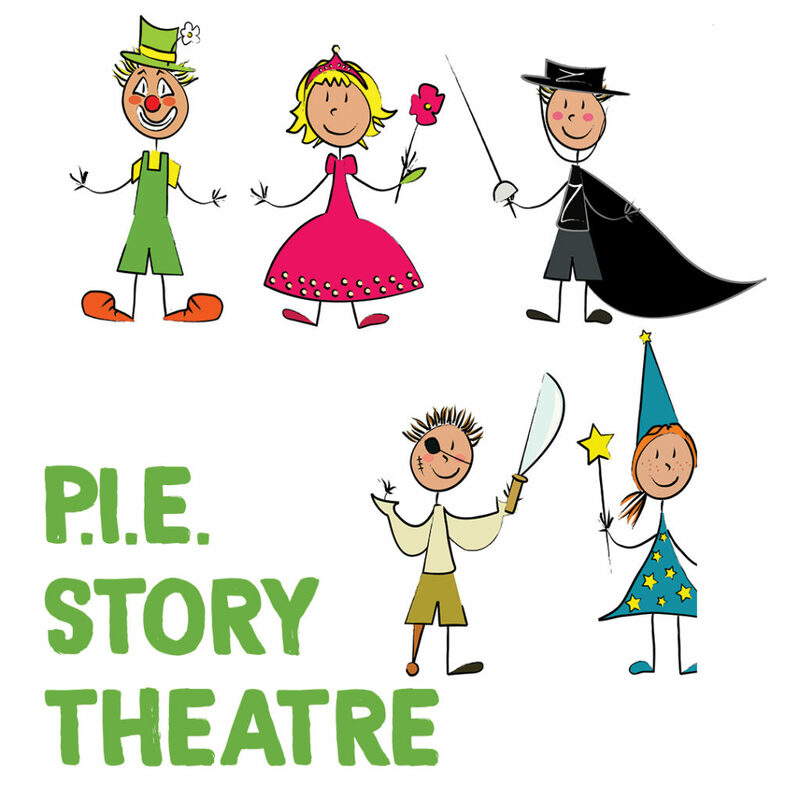 With the cooperation of Arts Horizon, the largest and most respected professional arts-in-education organization in the NY/NJ metropolitan area, PIE began presenting its Story Theatre programs at local schools (pre-kindergarten to grade 5) in December, 2004. In 2005 programming was expanded to include a story set for older students (stories such as The Headless Horseman and Twenty-Thousand Leagues Under the Sea were adapted and presented in the Story Theatre format for 6th-8th Graders), an Access Shakespeare Program for High School Students and an anti-bullying program was created on a grant from Radio Shack entitled Don’t Be A Bully. The Holiday Story Series (which first premiered at Chicago’s North Pier Festival Market) was presented in schools throughout the tri-state area with several thousand students enjoying holiday stories and carols that celebrate Christmas, Hanukkah, Feliz Navidad and Kwanza. As with many other organizations, a study-guide was created for teachers for pre- and post-performance projects. However, in an innovative move, PIE Story Theatre also provided materials for students to bring home, in order to facilitate discussions of what they had seen and heard with their families. In 2012, the long awaited PIE Story Theatre Holidays Stories and Carols CD was released through CD Baby and made available on iTunes and Amazon. In 2013, a Los Angeles company of PIE premiered at Casa 0101 Theater directed by Patrick Riviere. In 2014, Arts Horizons welcomed PIE back onto its roster with a new New York City Company. The company performed both Access Shakespeare and Story Theatre programs at several schools in the tri-state area. P.I.E. Story Theatre is offered for free thanks to the generous support of The Cricket Foundation, The Horizon Foundation, The Kelley Foundation, The Red Auerbach Youth Foundation, and the Wellfleet Cultural Council. P.I.E. Story Theatre will be performed throughout the summer at venues across the Outer Cape, including the Larry Phillips Performance Pavilion.